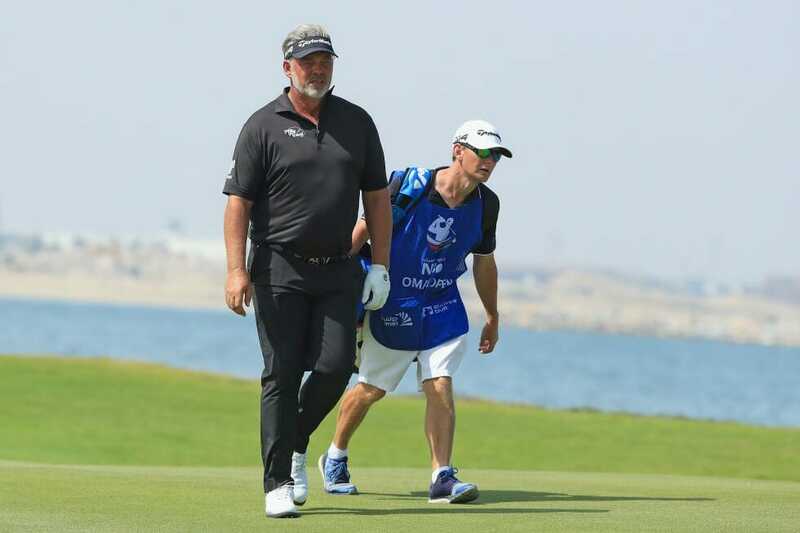 Darren Clarke will be the man to avoid at dinner this evening but perhaps the guy to perch next to atop the high-stool after a horror showing on day three of the NBO Oman Open. cut made yesterday. Yet with memories of his third round collapse at that very same event still fresh in the memory, it was Groundhog Day today for Clarke who returned a 78 in a roller-coaster round to forget at Al Mouj Golf in Muscat. The former Ryder Cup captain made just six pars as he plummeted 48 places down the leaderboard into a tie for 57th. His front-nine included two birdies, two bogeys, a double and a quad en route to a regrettable 42 strokes to the turn. His inward half was tame by comparison, three birdies cancelled out by three bogeys on his way to a six over total. Now at plus one for the tournament, it will be a bitter pill to swallow for Clarke as he looked to be regaining some of his old sparkle at long last. Consistency remains an elusive trait to the popular presence on Tour as he continues on that arduous journey of self-rediscovery. Joost Luiten, Julien Guerrier and Matthew Southgate will share a one-shot lead heading into the final round of the inaugural NBO Oman Open after a dramatic roller coaster of a day at Al Mouj Golf. The Muscat layout is no stranger to drama having hosted the final event of the Challenge Tour season from 2015-2017 and it was all set for a shootout on Sunday with 13 players within five shots of the lead. France’s Guerrier, Dutchman Luiten and England’s Southgate led the way at 12 under, with another Englishman in Chris Wood a shot off the lead and Spaniard Adrian Otaegui at ten under. It was a strong leaderboard for France with Alexander Levy then at nine under, a shot clear of countryman Matthieu Pavon and England’s Andrew Johnston.